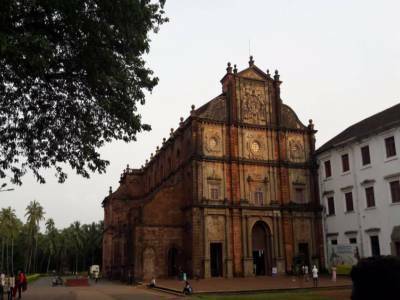 The Basilica of Bom Jesus is quite good considering a rare glimpse of Christian Portuguese history in India. The building is huge and dominates the Panjim topography. 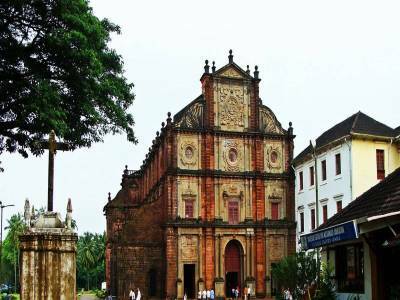 This is one of the oldest churches in Goa, as well as in India. The place is usually crowded, but a definite visit. The Cathedral is dedicated to the infant Jesus and the mortal remains of Francis Xavier, a catholic missionary from way back 1600s is still in state. 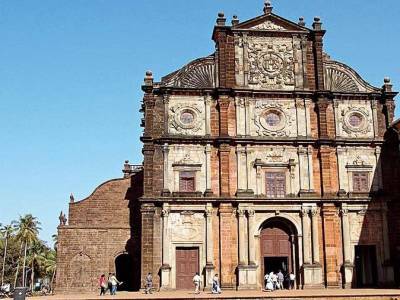 The Basilica of Bom Jesus is one of the UNESCO world heritage sites in India, witness the 500 years old body of St. Francis Xavier, brought from China, where he died. The body has not decomposed even after hundreds of years and visitors can see the tomb with a slight view of the Saint up inside the cathedral. 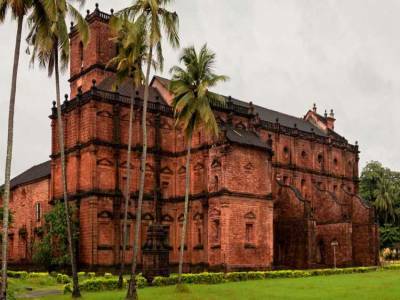 This is one of the most visited churches in Goa. The interiors are quite remnant of the early European architecture and speaks opulently of its glorious history and past. The floor is of marble inlaid with precious stones. Elaborate gilded altars occupy the interiors. The church also holds paintings of scenes taken from the life of St. Francis Xavier. The body of St. Xavier is placed in a silver casket resting on an alcove inside the Basilica. Today the Basilica is an important center for the Christians from all over the world and is also a faith healing center, number of patients, some with terminal diseases who were camped in the inside gardens of the Basilica. 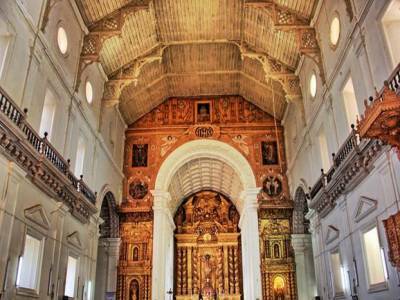 Get quick answers from travelers who visit to Basilica of Bom Jesus.